Guess what’s happening this week? 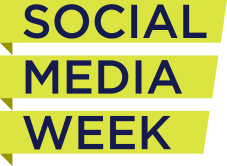 Social Media Week! That means lots of opportunities for me to connect with and learn from digital sisters and brothers in Washington, D.C.
Are you attending or following Social Media Week events in your city or another city? What have been your favorite events so far? 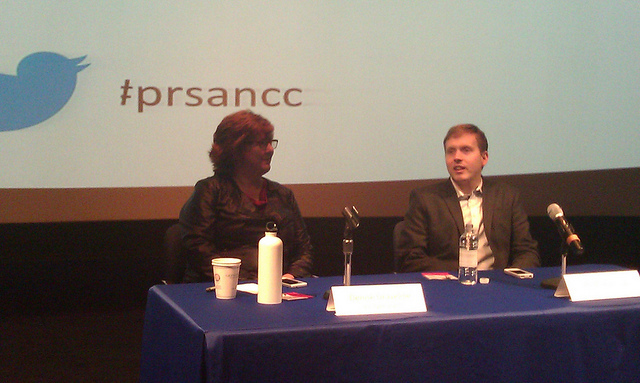 This morning, I attended a great Social Media Week DC panel discussion on 2013 social media communications trends for communicators featuring Denise Graveline, founder of Don’t Get Caught, and Anthony Shop, managing director of Social Driver. 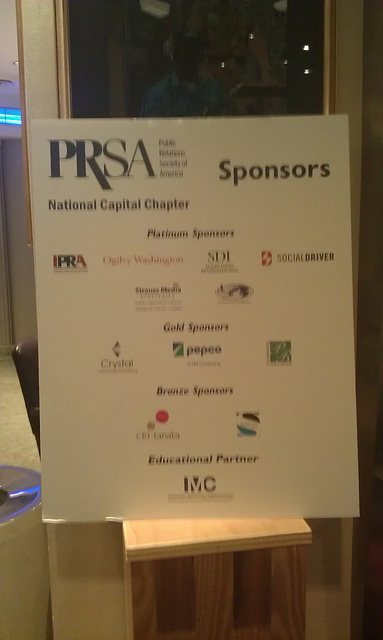 It was sponsored by the Public Relations Society of America’s National Capital Chapter. 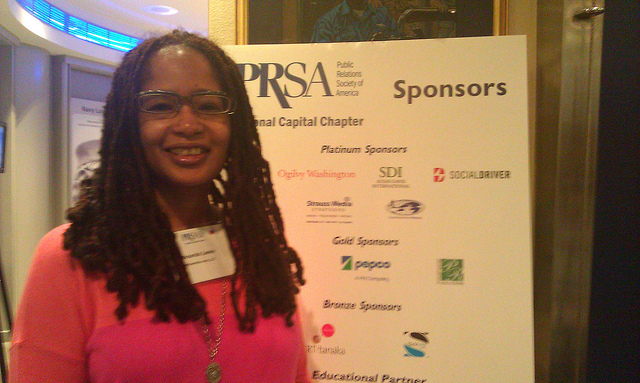 My biggest takeaways were three of the trends Graveline discussed in her presentation: Visual, Mobile, and Integrated. They are now my “VMI” communications strategy for the Digital Sisterhood Network. Click here to read Graveline’s fantastic blog post about her trends. Here are some of my notes from the presentation. Graveline stated that visual content is the strongest trend in social media that will increase in 2013. So that means it is time to return to my 2011 passion for videos. Here I come YouTube, Animoto, Vimeo, Vine, Facebook video chats, UStream livestreaming, and Google Hangout! It’s time my brother Matt give me editing lessons too. My love affair for “all things photo” will continue to play itself out on Flickr, Instagram, and Pinterest. Graveline shared some interesting statistics about mobile technology users. According to the Harvard Business Review, 46 percent of mobile phone users like you and me use their smartphones for “ME” time. Yes I said “ME” time — pure relaxation, fun, and entertainment. I totally agreed. She talked about how mobile devices give more people access to the web. 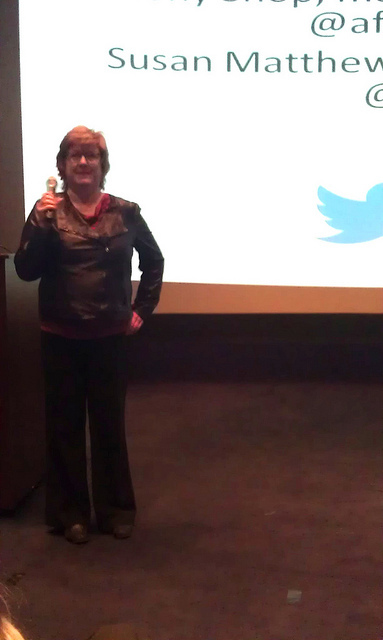 She also stressed the importance of making sure blogs and web sites are optimized for mobile devices. Graveline stressed the value of having one online site as a “base camp” (I like this phrase) for your messages and content. Social media platforms should be used to amplify the messages and content. She talked about how some folks create a roadblock in their communication efforts by thinking of social media as something you have to add to your long list of things to do rather than as a tool that enhances your communications efforts. She suggested these folks transform their attitude and accept that social media is how they do business. In short, EMBRACE IT. It’s not going anywhere. It’s here to stay. She recommended using blog posts instead of press releases or major announcements to achieve better search engine results and connections with reporters. PS: If you like what you read on Graveline’s blog, click here to subscribe to it. I did. I am also following her on Twitter and Pinterest. She is my new favorite Digital Sisterhood Leader! She rocks!